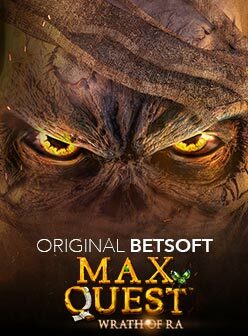 Quickspin invites you to play their October 9th, 2018 game release called Ark of Mystery that features the Multiplier Booster and Wild Ark Respins. Embark on the adventure of a lifetime as you relive ancient Egypt to unlock the forgotten treasures cursed by ancient pharaohs. This is a 5-reel and 20 fixed paylines slot where you can win up to 6,509x bet! The game builds anticipation from the get-go as the first glimpse of the slot presents the dark inside of a pharaoh’s treasure chamber with glowing hieroglyphs before torches burst into flame illuminating the room and all its tempting riches. Here you are invited to follow the adventurer Anna’s story who risks the wrath of the ancient pharaohs in this beautifully illustrated game. High-value symbols include an eye of Horus, scarab, ankh and Anna. Lower-paying symbols includes the five royal flush poker symbols. 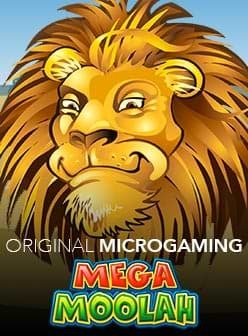 You’ll marvel at the ancient Egyptian music and audio effects reinforcing the theme as you attempt to unlock big, super, mega and epic wins! Alluding to the Ark of the Covenant in Indiana Jones, the Ark wild can substitute for any symbol in the creation of winning paylines when appearing on the 2nd to 4th reels. But it doesn’t stop there because the wilds become sticky for a free respin and the chance to create new winning paylines. After a respin, the Ark opens up, spreading its magic to the row above, transforming it into an Ark wild as well which repeats until all spaces above the initial wild are stacked with wilds. You can collect as much as 6 respins. A special multiplier pyramid symbol may appear on the 5th reel which increases the multiplier figure indicated at the top right of the reels. The multiplier can increase to as much as 22x and is applied to your round winnings. Ark of Mystery slot has an RTP of 96.53% and a range of bets starting from as low as €0.20 to as much as €100. This is a mid-volatility slot meaning that you are likely to win a little less often than a low-volatility slot but when you do there is a chance that the wins will be higher. Channels for playing include desktop, mobile and tablet. If you’re on the move, then you’ll be able to follow Anna on her epic journey using an Android or iOS device. If you’re a fan of Ancient Egypt themes, then your journey begins by visiting one of our suggested casinos to get started.